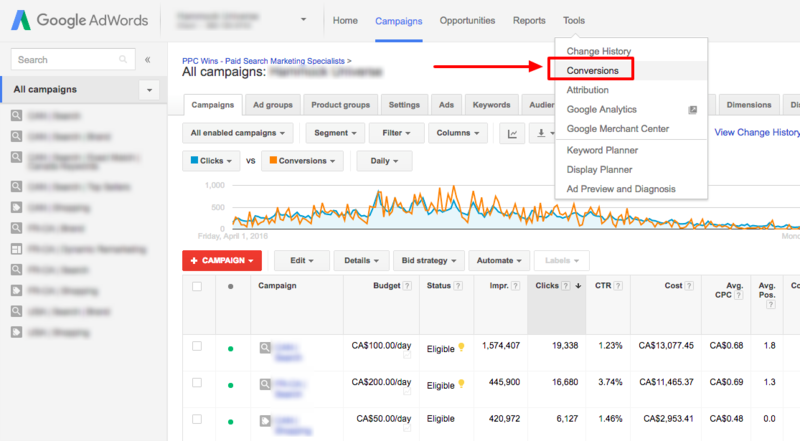 Its very useful, when you’re running AdWords campaigns, to correctly track conversions (conversions in eCommerce generally = sales). If you don’t do this, its hard to optimize your campaigns and make more $$$. 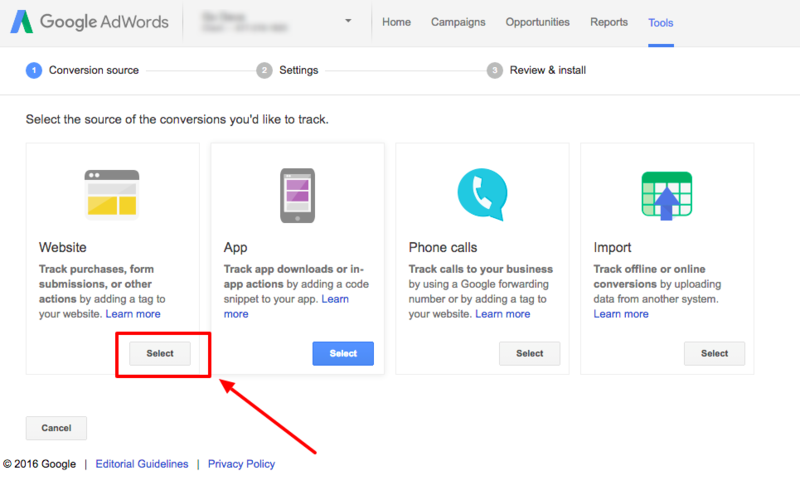 In this post I’m going to show you how to setup AdWords conversion tracking for Shopify. 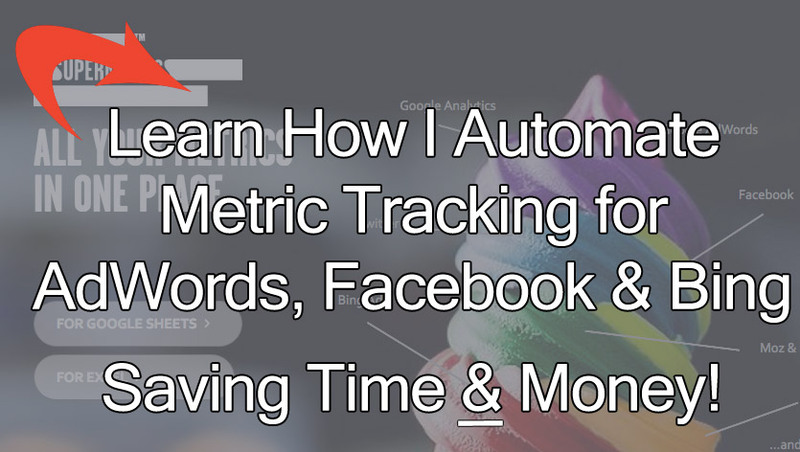 CRUCIALLY, I’m going to show you how to add code that avoids tracking duplications. That is to say, it will prevent a sale for appearing as 2 or more conversions, when there was only one! (yes, this happens sometimes). Set the time period you’re look at to All Time, or at least 30+ days. This should give us enough conversion data to work with. Then sort the list of results in descending order by clicking All Conversions. 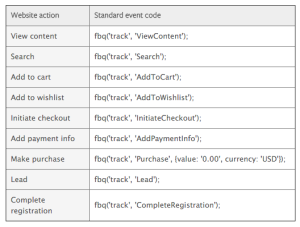 Next, we want to add some code to track order IDs. 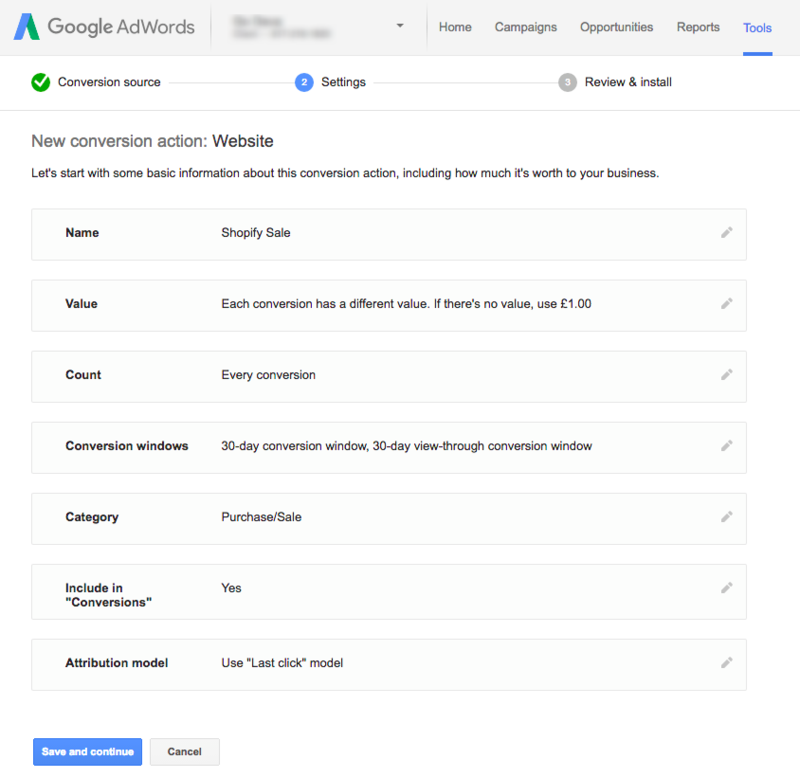 This is the bit that will prevent us registering duplicate conversions in AdWords. See the Google article for extended details on how it works. Essentially the code says; check if the page returns an order number, and if so, pass it to the variable. You may want to check your order number setup in Shopify, because if you edited it, and want it to match up, you’ll need to add an extra prefix. I don’t think you need it to match up 100% though. All this functions serves to do is ensure the same order number can’t be counted twice. At which point we’re nearly there. Finally, we have the option to add some further code. Shopify have a snippet of liquid code called first_time_accessed (more info on it here). Code placed within this statement *should* only be displayed once. Since testing it, I’ve found its not 100% reliable. Hence adding the above order ID code. But it’s better than nothing for the other codes in your checkout code. Ones that don’t have an order ID parameter that can be added (Bing comes to mind). If any of the above isn’t clear, leave me a comment, and I’ll clarify + improve it. Amazon backend keywords provides up to 5,000 characters to customize. But how best to use them? What you don’t want to do, is to think of these backend keywords like the old <meta> keyword tags in HTML, and just try stuffing everything you can think of into them. Especially your money keywords. For example, if you sold garlic presses, you’d want to prioritize putting popular keywords like ‘garlic press’, ‘garlic mincer’ and ‘garlic squeezer’ into your listing. At which point, the backend keywords should be for any keywords you don’t have in your listing. There’s no need for duplicates. Google Analytics virtual pageviews have a whole bunch of uses. Recently I was setting them up for this blog, in order to track some outbound links, and thought it was worth sharing how to do this. How would this look if we wanted to make a specific URL trackable? 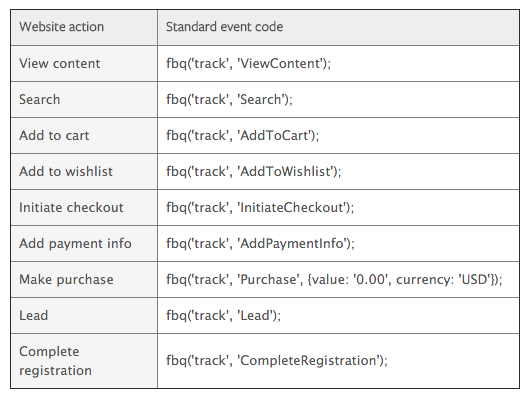 Notice how we have specifically added an onclick event, and passed it the name of a page view to fire. Because virtual pageviews are not ‘real’ page views, it helps to have a way to filter them from your metrics. In the example above I’ve used the prefix /vpv/, which we can easily filter for in analytics if we want to. That way we’ll know everything with /vpv/ is a virtual pageview. Advertising Cost of Sales (ACoS) is a term used by Amazon for their sponsored ads. 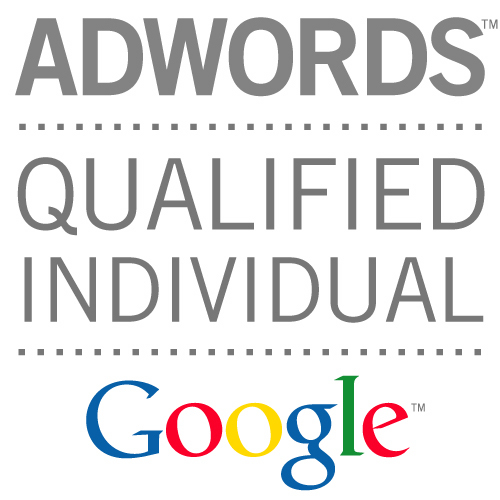 ACoS is not common PPC jargon, so don’t be surprised if you haven’t heard of it. The easiest way to think about ACoS is this. Once you have your products profit margin as a percentage. You would then deduct the ACoS percentage to get your final margin. E.g. Goods retail for $30, profit margin is 40% ($12), and ACoS is 10% ($3). You’d then take home $9 as profit on sales from your ads. The higher your ACoS, the higher your ratio of ad cost to sales revenue. The lower your ACoS, the lower your ratio of ad cost to sales revenue. Ideally you want as high a sales revenue figure as possible, with as low an ACoS as possible. So… if you spent $10 on advertising and it resulted in a single sale of $40, your Advertising Cost of Sales would be 100*10/40 = 25%. Example screenshot below showing the ACoS in the far right column. When you’re selling on Amazon its super important to have a spreadsheet where you calculate all your costs (manufacturing, inspection, shipping, import tax, Amazon fees) and therefore know how much profit is left on each sale. At which point, you want to know how much you can “afford” to spend on Amazon ads, and still be left with profit. If you find you’re only breaking even on the ads, they can still be worth pursuing (which is a weird thing in the world of ads!). The rationale would be that the extra sales would improve your Best Seller Rank (BSR) and therefore result in more organic sales. The only scenario where that may not be of use, is where you’re already top of the search results for the keywords that you want. But actually, because ads take precedence on the results page over organic results. Even if you’re at the top organically, you’d likely want to run product ads in addition. >> To learn more about running profitable Amazon PPC ads, I’ve written a detailed blog post on how to build and optimize your Amazon Sponsored Product campaigns. 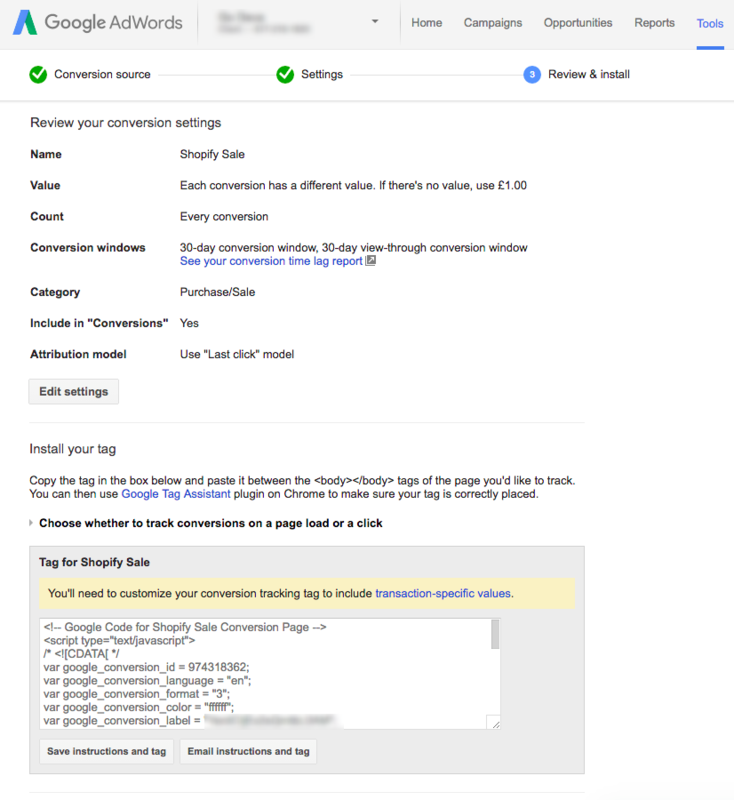 Previously I wrote about how to setup Facebook conversion tracking on Shopify using the new pixel. To keep the article simple, I left out discussion of other actions that you can track. Taking the 80:20 approach, the MAIN thing you want to get right in your tracking is sales. So that was the focus. Once that’s correct, then you can move on to other actions. A particularly useful one to track is “AddToCart” – this lets you know if your Facebook campaigns are on the right tracks. If you’re getting lots of add to carts, but not purchases, then you know there is interest… but something is getting in the way between a customers intent and their follow through. There are a few ways to implement the AddToCart action. Because the cart.liquid uses theme.liquid – you don’t need to add any more code than that. The above is what your basic Facebook tracking script would look like, with an extra section which has an “if” statement. The statement says… when the page gets loaded, if the template contains the word “cart”, then add this bit of code (which is your AddToCart code), and if the page isn’t your cart page, that code doesn’t load. Another ‘action’ that you might want to track could be views of certain pages. This could be “all” product pages, or perhaps pages of a certain product.